Chocolate 13 Tomato Cake with Mystery Ganache (page 87) – fresh tomatoes take 2. ROSE’S heavenly CAKES: Chocolate Tomato Cake with Mystery Ganache (page 87) has become my recommended chocolate butter cake. no-one needs to know that there is near 2 lbs of tomato soup in it. 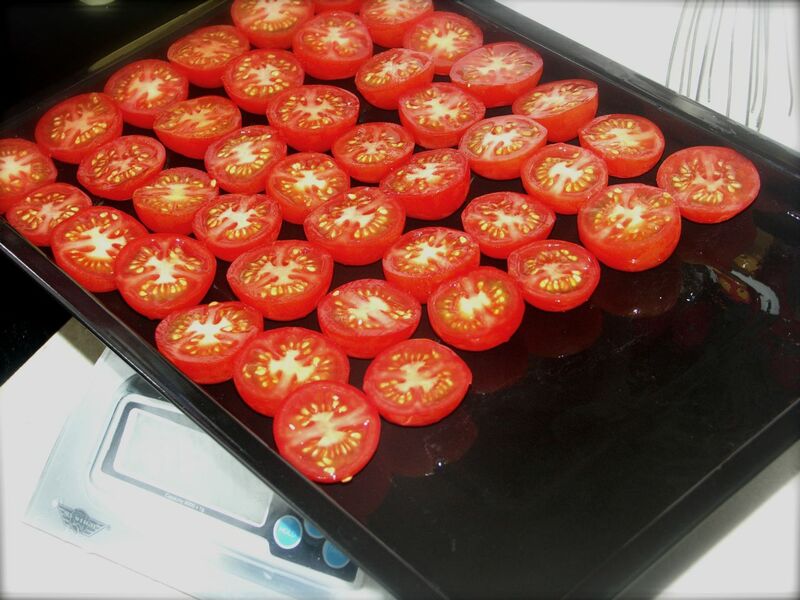 2 lbs of fresh tomatoes (cocktail size), sliced in half, oven baked at 250oF for 2 hours, strained, makes 437 grs of tomato soup. quantity sufficient for this take! stay tuned, this take will also show how can you turn a standard 2 layer cake into a miniature 3-tier fun cake. H, I’m making this in 2 weeks. Will try your homemade tomato soup take. I’ll report on results. j, u will love it!